Playing with color is playing with your Creativity–and that’s awesome for lifting your spirits and activating your feng shui. 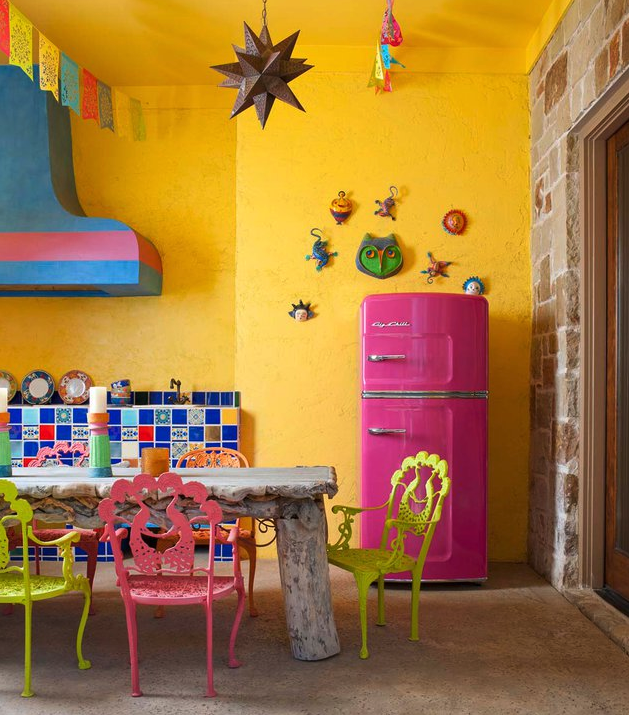 This room is a delight to behold–from the painted chairs in several colors to the bubblegum color Big Chill Fridge. I also love how the flag banners are strung across the room’s high ceiling–this is an excellent feng shui cure to circulate ch’i when it works (and here it really works, tying the fiesta theme together). The Mexican tiles, the chunky driftwood table—it’s all FUN Shui, n’est-ce pas?